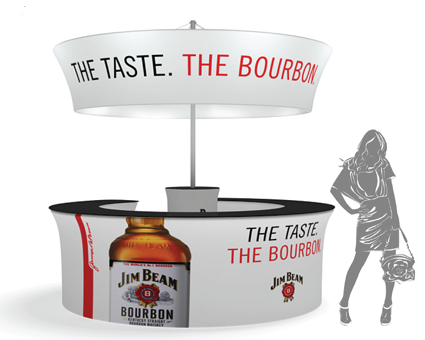 This promotional desk-counter creates the perfect focal point in any event environment. 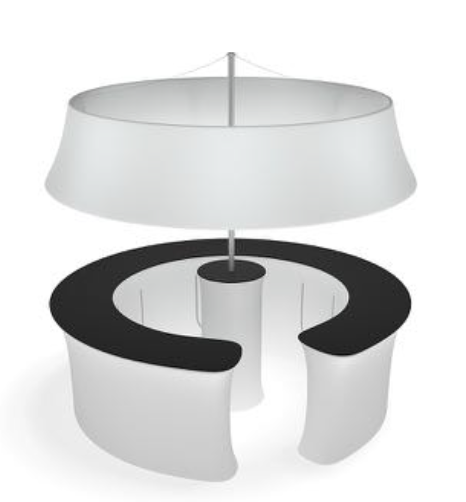 Plus it is multi-purpose and will serve you well as a reception desk, counter, demo centre, bar, meeting point, ticket point and so on. This also packs flat in just a few minutes. The tension fabric graphics looks stunning and can be renewed any time you want. Don't forget we can include zipped panels for you so that you can take maximum advantage of the space inside the counter as valuable storage. How clever is that! 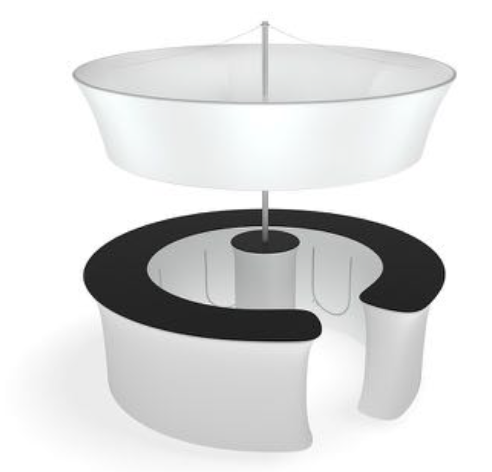 Why not make this amazing Display the feature centre of your display, providing an eye-catching centrepiece for visitors!